Hope you all had a wonderful weekend! This weekend Ian and I celebrated our four year wedding anniversary. Ian surprised me and planned a weekend getaway just the two of us to Del Mar. SO romantic. Our room was not ready when we arrived as promised..so we waited and WAITED... got a couples massage...had a few bloody mary's...and got upgraded to a party suite for our "inconvenience." I am pretty sure we had the best view in the hotel. 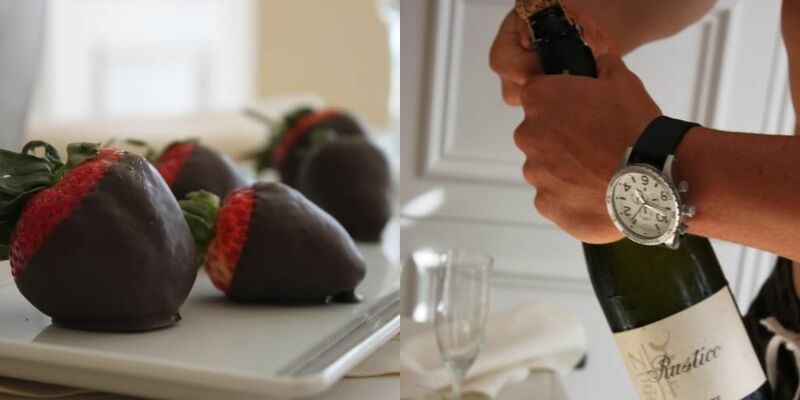 My adorable husband had chocolate covered strawberries and champagne waiting in our room. Dinner was heaven. These were too delicious not to mention. 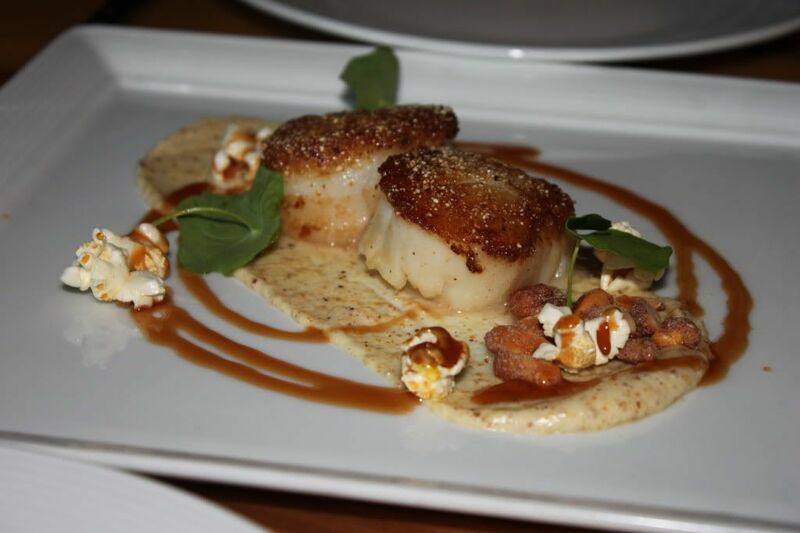 Diver scallops with popcorn puree, candied walnuts and salted caramel. I am a sucker for Key lime pie. Most definitely the best one I have ever tasted. In the morning we went for a walk on the beach. I was determined to find a shell...just ONE. I wanted a little souvenir. We walked up and down the beach for over two hours and guess what? !...Not a single shell. Apparently it wasn't shell season yet. Bummer. 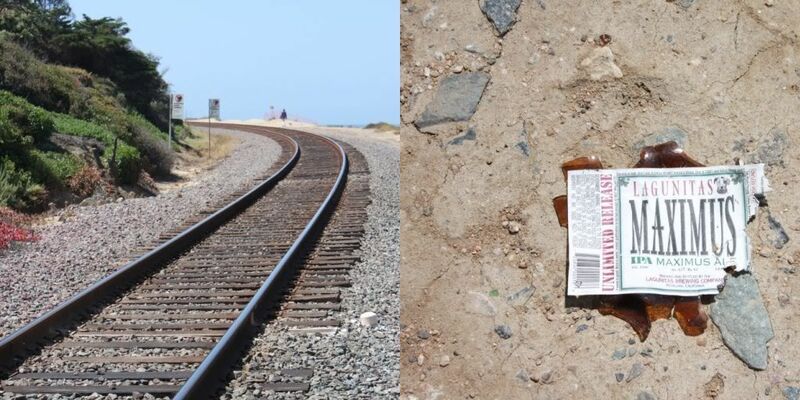 There was this little trail that we hiked up that led to the train tracks. The view was unbelievable. As we were walking along, we were saying how we missed Maximus SO so much! At that exact moment we looked down and saw a broken "Maximus" beer bottle. A coincidence? Whatever it was we decided we were going to check out and head back home as fast as we could to see his little face. um wow....that looks like perfection!!! I LOVE strawberries and champagne....congrats girl!!! 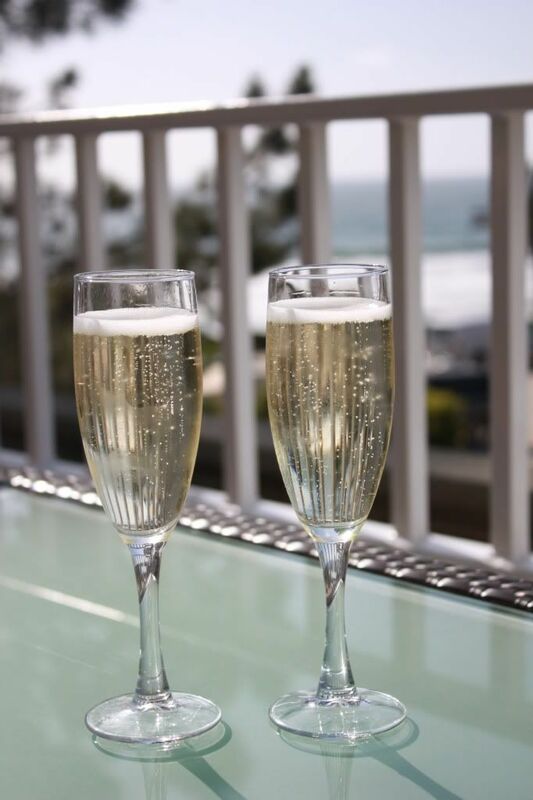 Looks like you had a fabulous time on your little getaway! Congrats on your anniversary! Caleb and I are approaching the one year mark. Happy Anniversary! Your dress is ADORABLE! LOVE it on you! Glad you had a lovely time. It sounds lovely. Glad you two had such a wonderful and romantic trip. Loving your necklace and dress here, you look gorge!! You look AMAZE! I love you! looks like an amazing anniversary! our is June 3rd. we are actually head to cali this weekend for a wedding and a small getaway for our anniversary too! that necklace...ohh so pretty! happy anniversary girl!! sooooo perfect...what an amazing husband :) what restaurant did you eat at??? that food looks to-die-for delicious!!! Awwwww, such a cute pic. The champagne and food looks amazing! What a treat to get away. Completely jealous. congratulations on your anniversary! what a lovely getaway! and how great do you look? love the maxi dress and the statement necklace! You two are seriously one of the most gorgeous couples I have ever ever seen! You look so pretty!!! And I want that outfit! Jewelry, dress, shoes, everything! What a sweet hubby arranging all of that too :) Isn't Del Mar the greatest? I love San Diego! Happy Anniversary!!! congratulations! You two look so wonderful together, your husband is so sweet to plan this surprise for you! I love your outfit and necklace, you look so beautiful. You are stunning! Happy anniversary! Congrats and what a good looking couple the 2 of you make! 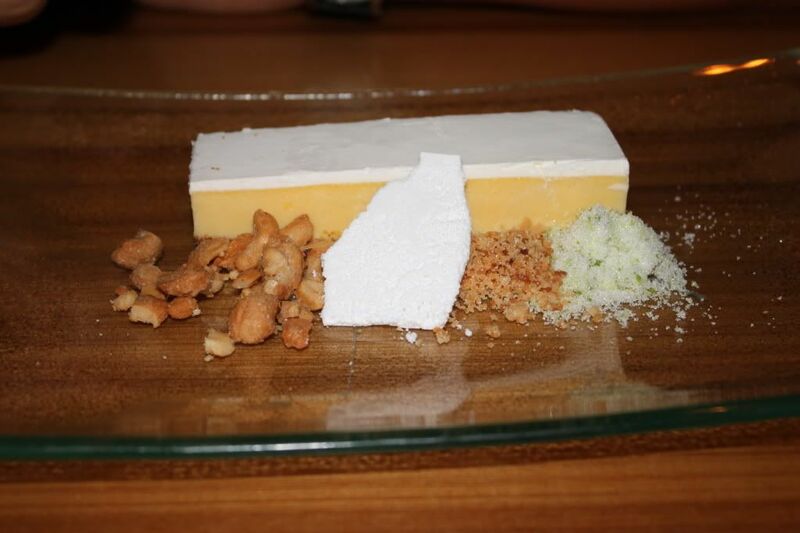 That key lime pie looks amaaaaazing! Your outfit is stunning! I love the blue tube top dress paired with that statement necklace! Gorgeous, gorgeous! So romantic!!! I love it. And congrats! I used to live in SD & love it so much. 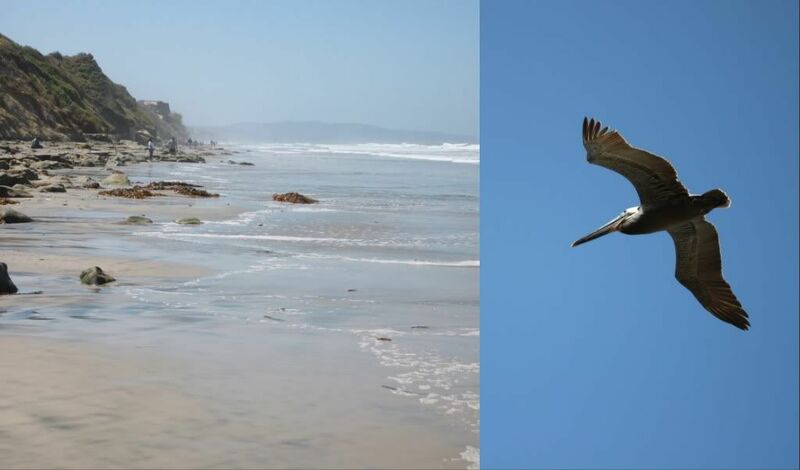 Del Mar is such a fabulous area. Glad you had a great weekend. That is so lovely!! Fabulous!! my heart bounces when i even think of chocolate covered strawberries! If i see them at the buffet, i will load up with them before anything else, I sometimes take them home in my purse! congrats on your 4th! it sounds like the most perfect get-a-way! you too are adorable! Lovely photos!! The food looks amazing. Happy anniversary, you look gorgeous!! This is late but I hope that you had a great anniversary. It certainly looks like you did! Oh wow! Congratulations! Looks like you guys had an amazing time! Awww you and your hubby are so cute! And is it weird I noticed his watch? Love it...pretty sure my husband would too! congrats on 4 years! looks like a lovely anniversary, love your outfit and love that key lime is one of your favorites, it is mine too i even made key lime curd last week for cupcakes, delicious! u two are so beautiful! i am happy to see such bless!